COLUMBUS, Ohio – The OSU Livestock Judging Team finished fourth at the National Barrow Show judging contest held on September 8th. This performance ties the school’s previous high team mark set in 1994, which is the only other year OSU has finished in the top five at the contest. In snapping the 20-year top five drought, the team came within 12 points of winning the event, and extended OSU’s top ten streak at the National Barrow Show to three; a first for the school boasting the second longest continuously competing livestock judging program in the nation. 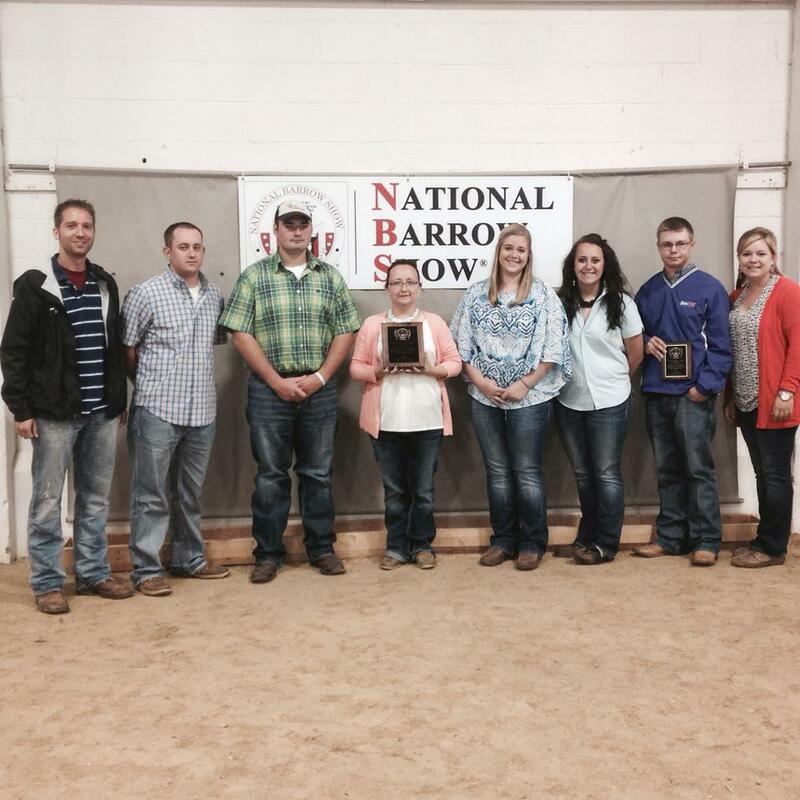 Fifteen schools from across the country competed at the 68th annual National Barrow Show. Students judged nine classes of hogs, answered 10 questions and presented four sets of oral reasons on their class placings. Ohio State ranked seventh in reasons and first in class placings. The team reasons performance was just 23 points off the pace set by Oklahoma State University and Texas Tech University. The top five teams overall were Texas Tech University, Iowa State University, Western Illinois University, The Ohio State University and Oklahoma State University, respectively. Zach Bartenslager, Lewisburg, W. Va., finished fifth overall, which is the highest ever for an OSU student at the National Barrow Show. Bartenslager’s score was a mere three points shy of the high individual score overall. Levi Criswell, Marion, Ohio was 13th, and would have broke into the top ten with just four more points. The remaining team members, Tonya Fender, Lynchburg, Ohio, Courtney Tarvin, Mt. Olivet, Ky., Cody Shafer, Eaton, Ohio and Lydia Ulry, Johnstown, Ohio, were clustered together within a four-point range and ranked from 23rd to 39th in the contest. In the Junior College division, Seville, Ohio native, Clayton Boyert, was named high individual. He attends Black Hawk College in Kewanee, Ill., where his brother Jared is the coach. Jake Boyert, another sibling, is an OSU graduate that was a part time assistant coach for the 2013 OSU team. Two team members were participating in a family function and were unable to travel to the National Barrow Show, Megan Hunker, Bellevue, Ohio and Jacob Ruffing, Republic, Ohio. Kyle Culp, and undergraduate assistant, Emily Limes, coach the OSU team.